100,000 CDs, liner notes, librettos, and biographies. High quality plays, musicals, opera, and concerts. 250 definitive performances of the world's leading plays, together with more than 100 film documentaries. 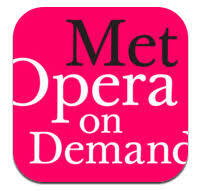 Enjoy online access to more than 650 full-length performances. Best music encyclopedia in English. First place to start your research. Indexes over 10,000 scholarly sources 1967 to the present. Indexes 800 journals 1970 to the present. General subject index that includes music and theatre. Full-text and full-run of many significant music journals. Useful for indexing, but access to content is limited. The web's largest library of International Phonetic Alphabet (IPA) transcriptions and literal translations of opera arias and art song texts. Helps you locate over 30,000 plays. A specialized network in quality classical contemporary music. You can listen to music and read full scores online. How to write about music : the RILM manual of style / James R. Cowdery, editor; foreword by Carl Skoggard, introduction by Barbara Dobbs Mackenzie. Includes odd source formats such as tv episodes, audio tapes and blog entries. Diana Hacker's guide includes examples for print and online sources for MLA, APA, CBE, and Chicago styles. Duke University Libraries' guide to MLA, APA, Chicago, and Turabian styles.